Quality Twistable/Flexible Waveguide - Many sizes available from stock! 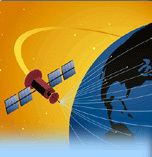 Suncoast Microwave stocks several styles of twistable/flexible waveguide for immediate delivery. These flexible assemblies are used to isolate vibration and to eliminate installation difficulties caused by misalignment of rigid sections. 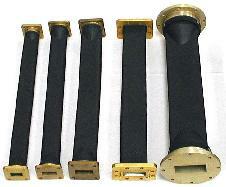 Suncoast Microwave supplies two basic types of flexible waveguide. Type "TF" is more common of the two types. "TF" is a twistable and flexible waveguide which can be twisted or flexed into extreme conditions. Type "SF" is a style used when a higher power application is required. "SF" is a flexible type only, but also can withstand much higher power. Both styles come with a standard neoprene outer jacket. This jacket provides the needed protection for the inner core and provides pressurization. Note the "SF" version does not have to have a jacket for pressurization, however the "TF" style does require this jacket. email us for your prompt quote now!